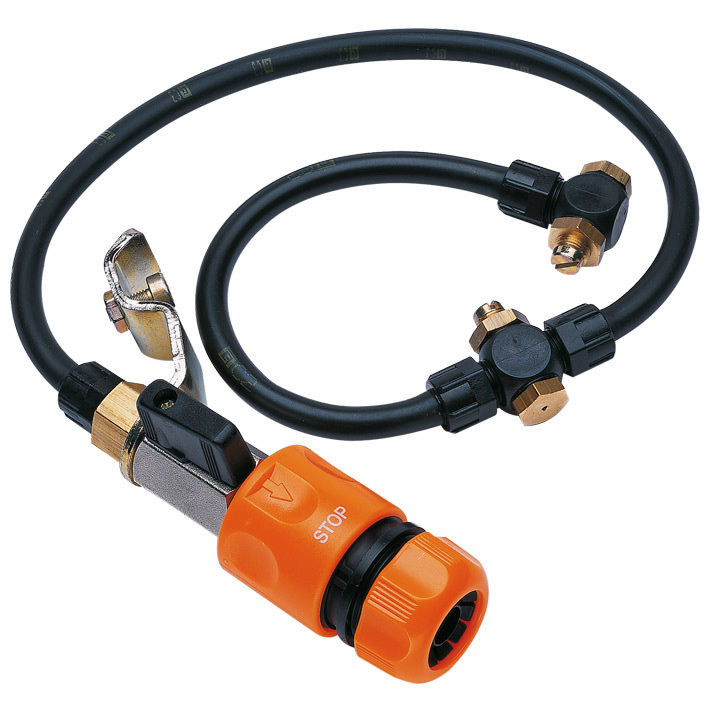 The STIHL water attachment set for the TS 400 has two easy to clean nozzles. These can be attached to the cut-off saw's magnesium guard. The spray of water damps down the dust created in cutting. For an efficient, clean cut.